When it comes to providing useful services to professional bloggers, Google is perhaps one of the leading companies offering killer applications and services to the blogging community. Fortunately, almost all of them are free-to-use and provides a solid backbone for building a profitable blogging business. I've handpicked 10 most popular and essential ones that help in elevating your blogging business significantly. Some of these services are so essential that they are used by each and every blogger (directly or indirectly) on this planet. Other services are used by a limited number of bloggers but are equally important in boosting your blogging business. So let's get started and see each of these services and their advantages. Google Adsense: It's one of the most popular online content monetization programs used by millions of bloggers across the globe. It has large advertisers base providing opportunities to publishers in almost every niche. This useful service primarily serves CPC (cost-per-click) ads and the payments are made on monthly basis provided your monthly earnings cross the minimum required balance. Google Adsense is not only used by small to medium-sized publishers, but it is also used by very large publishers having a network of high traffic websites. Google Analytics: This is a must-have tool for every professional blogger. It is a powerful tool to know in-depth details about your website's traffic. This greatly helps in weeding out the shortcomings and in optimizing our blogs for better visitors' experience. It is free and includes tons of reports and features to analyze your blog's traffic. Power users can use its advanced features to track their complex online campaigns. General users can get started with it simply by pasting a small script code in their web pages. 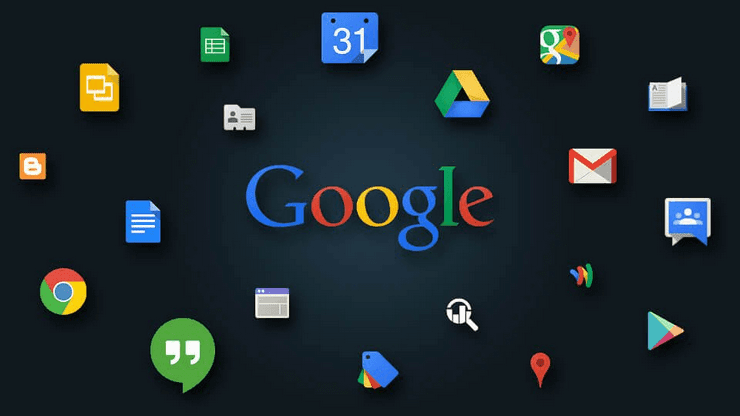 Google Apps: This is an integrated platform that brings all popular Google services (e.g. Gmail, Docs, Calendar) under one roof. What's unique about this service is that you can use your own domain name with all of these services. This way you can personalize and customize each and every service as per your requirements. I'm using this service for all my domains and found it extremely convenient and easy-to-use. When you're using Google Apps, you can use the same Gmail interface with your own custom email addresses associated with your domain name. Google Webmaster Tools: This is yet another valuable tool for professional bloggers. Organic traffic is the medium from where targeted visitors' land on your blog. Through Google Webmaster Tools, you can ensure that your blog is well indexed by Google search engine and the overall health of your site is in good condition. This includes on-page optimization, site speed optimization, crawling conditions, social media integration and much more. This is a powerful tool for ensuring a good presence in search engine result pages. Google Drive: Cloud storage is getting quite popular these days and Google Drive is one of the best available solutions for small businesses and professional bloggers. It comes with 5GB space and is tightly integrated with Google Docs. This much storage is good enough to store a large number of business documents. Bloggers can also use this service to store important themes files, code snippets, content drafts and several other types of important documents. You can also use it to keep a back up of important files and directories residing on your blog. DoubleClick for Publishers: This is a robust and reliable ad-hosting and ad management tool. If you're offering direct advertisements on your blog, you can use this useful ad-hosting and revenue management engine to make things quite easy. You can not only host and display direct ads very easily through this service, but can also get detailed reports about ad-performance and the generated revenue from each ad. Configuring orders and creatives are quite easy through helpful wizards. You can also integrate Google Adsense ads along with other ads through this tool. Google+: Social media is an essential medium nowadays to get more eyeballs for your blog. Google+ is a user-friendly social media platform with loads of content sharing features. You can create a dedicated Google+ page for your blog and can build followers to extend your blog's reach. It supports hashtags and is equipped with a real-time advanced search that provides an easy way to find relevant content from the entire Google+ ecosystem. You also get helpful data that visualizes how your content is being shared within or beyond your extended network. Google Alerts: And last but not the least is the tiny little tool to keep an eagle eye on things that matter to you and your blog. Through this nifty tool, you can set up custom alerts for keywords and key-phrases such that you receive an email as soon as that keyword is mentioned anywhere (public content) on the web. Bloggers use this service to monitor their as well as their competitors' brand. You can customize each alert to set the frequency of alerts as well as the level of data mining to be done by the service.